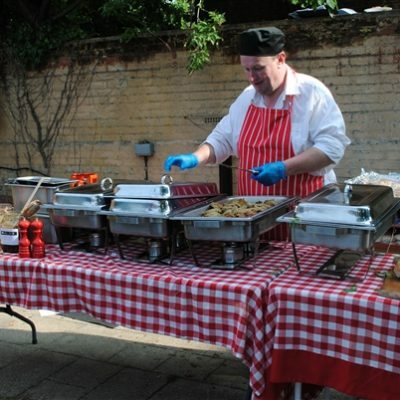 Hog & Ale Trade Services: At Hog & Ale we supply the trade with great rates, so whether you’re a Public House and are planning a Beer Festival, or a Restaurant and you have a wedding party to cater for, you can confidently leave it to us. There is a great opportunity for all Publicans out there who wish to generate additional revenue. By hiring our equipment you can host special events which boost income and create more custom. We create interest ourselves and let our large database of customers and followers know of an event in their area, we can also offer help with the marketing and advertising of your event and offer various options, for Equipment only hire to fully serviced including Hog Roast, Modern and professional outside Bar or our Real Ale Festival equipment and stillage. Hog & Ale Trade Services: We are available throughout Suffolk, Essex, Norfolk and London, however if you are not situated in these areas please still contact us, as we will happily discuss all possibilities. Feel free to look at the testimonials from our repeat customers who have hired from Hog & Ale. It’s a cost effective way to generate more business and in turn this creates more profit. Hog & Ale Trade Services: If you require any of the stock for the Bar or Ale from the many Breweries we work with, perhaps the Hog for your Roast, we are here to help. We are an established business, we use local suppliers regularly and through these we have further fantastic rates which might be of further benefit, please ask when you make an enquiry. We work with the beer trade and various establishments so they can host Beer and Food tasting evenings. Why not visit the Beer Sommelier page to find out more, and then go to make an inquiry so you can discuss your requirements.